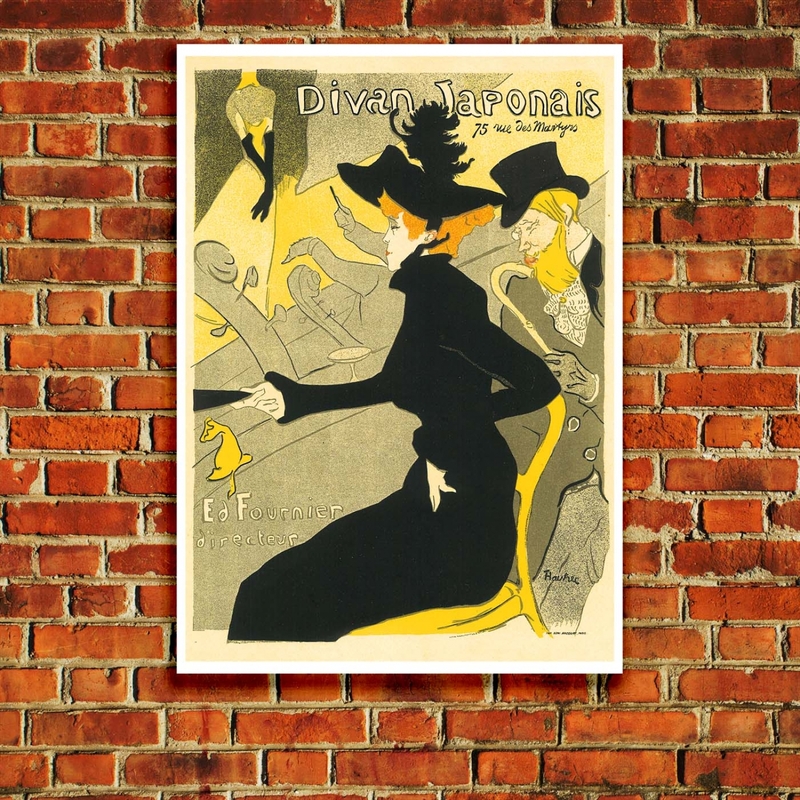 Divan Japonais is a lithographic poster by French artist Henri de Toulouse-Lautrec. 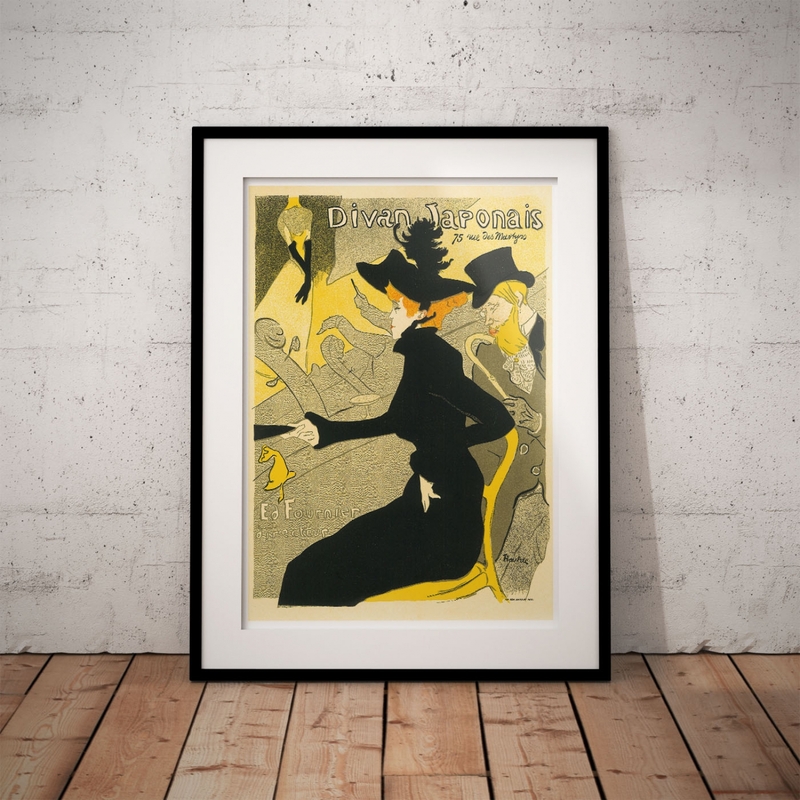 The owner of the cafe-chantant, at the time known as Divan Japonais, commissioned Toulouse-Lautrec’s poster to celebrate the cabaret’s reopening after refurbishment.. 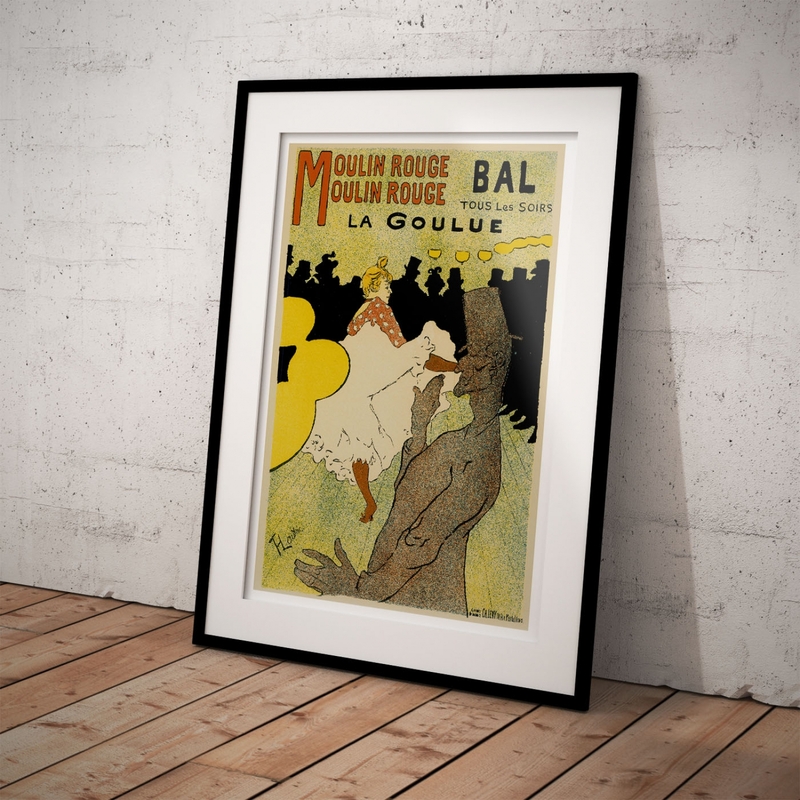 The poster depicts three persons from the Montmartre of Toulouse-Lautrec's time. Dancer Jane Avril is in the audience. Beside her is writer Edouard Dujardin. They are watching a performance by Yvette Guilbert. 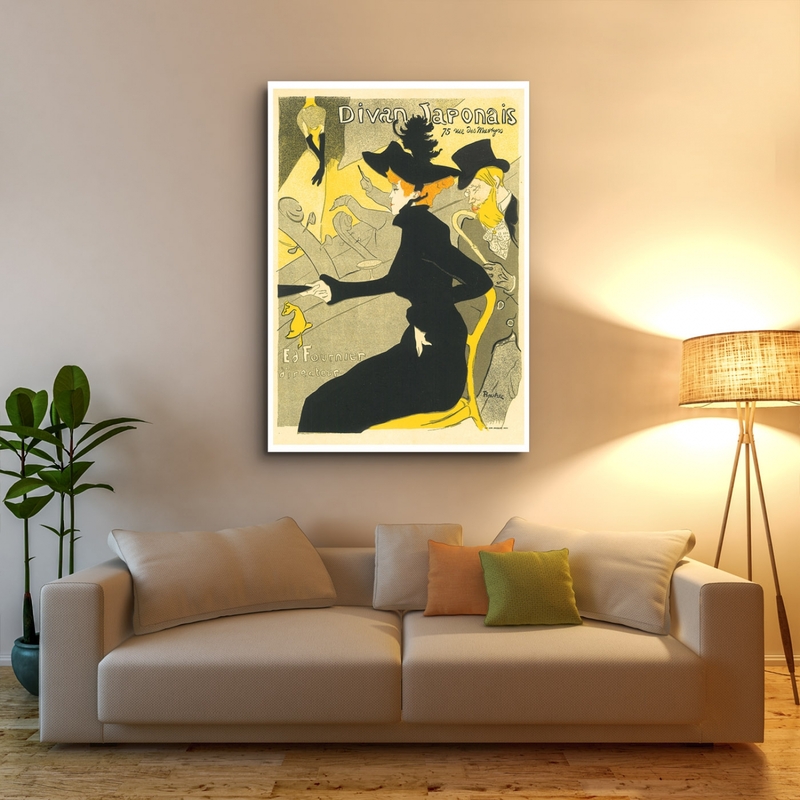 Though her face is not included in the poster, she is recognisable by her tall, thin frame and long black gloves. 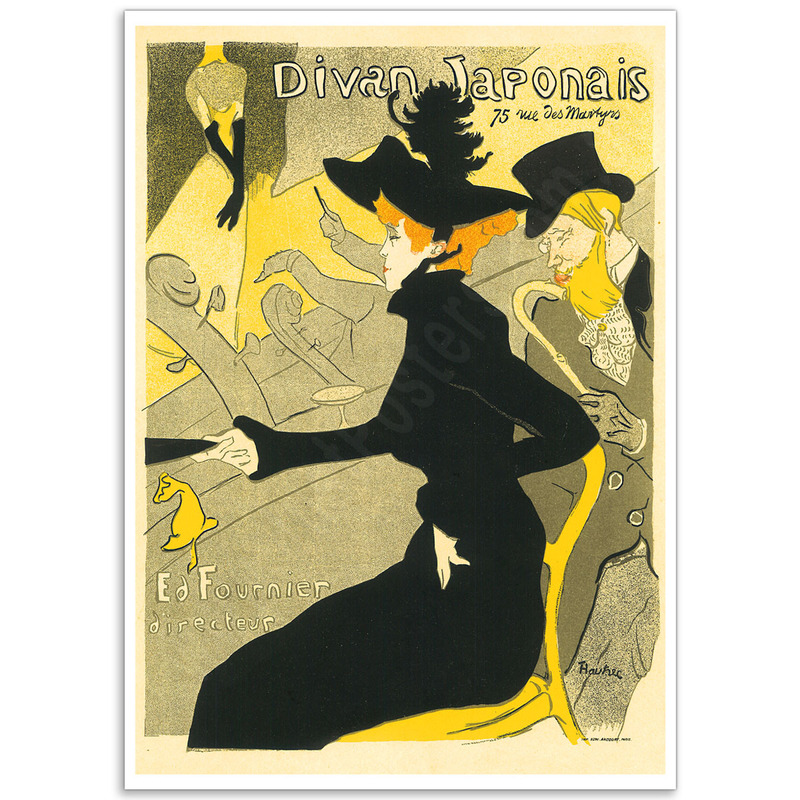 The 'Divan Japonais by Lautrec’' Poster is a reproduction of a Vintage Art Nouveau Poster. Heiliges Herz Jesu - Vintage Religious Illustration PosterThe Sacred Heart of Jesus by Carl Poellath..